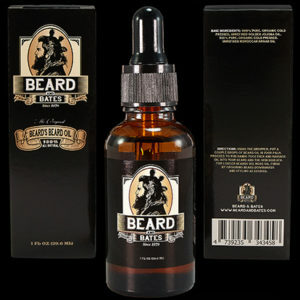 Beard And Bates' Grooming Essentials Beard Kit includes the essential grooming elements that enable a man to take control of his Beard Care, Maintenance and Styling regimens. 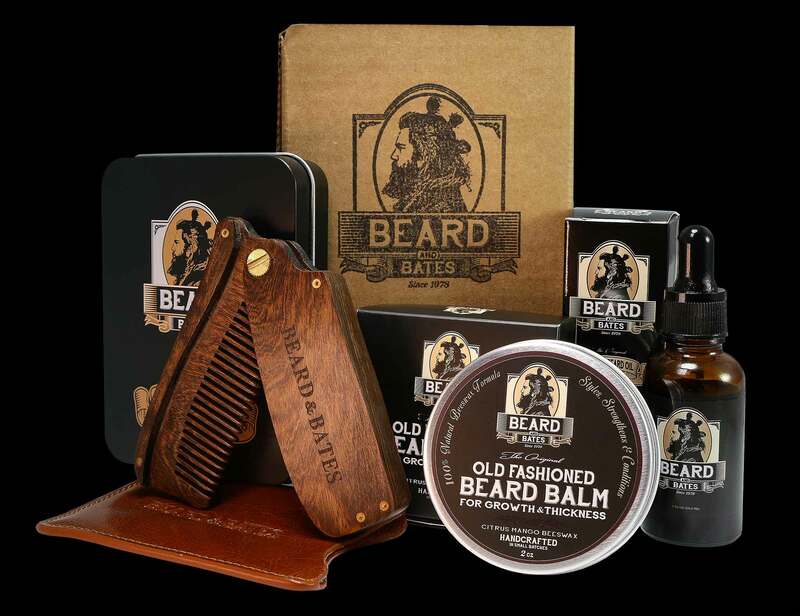 The kit includes our Original Formula Beard's Beard Oil, our Old Fashioned Beard Balm for Growth and Thickness, our stylish Sandalwood Switchblade foldable grooming comb, and our Premium Leather Pouch for the Sandalwood Switchblade. 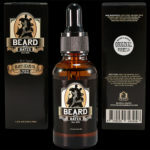 Beard And Bates’ Grooming Essentials Beard Kit includes the essential grooming elements that enable a man to take control of his Beard Care, Maintenance and Styling regimens. The kit includes our Original Formula Beard’s Beard Oil, our Old Fashioned Beard Balm for Growth and Thickness, our stylish and updated Sandalwood Switchblade foldable grooming comb, and our Premium Leather Pouch for the Sandalwood Switchblade. Beard And Bates recreate a classic 19th Century beard and mustache oil: the premium beard oil for the discerning man who requires to stand out from crowd. Jojoba Oil: which closely resembles natural skin oils provides a powerhouse of nourishing vitamins and minerals for promoting hair growth and hydration, and for creating healthy skin. Argan Oil: this “miracle oil” fights hair loss, dandruff, tames unruly frizz and curls, makes hairs silkier and smoother by nourishing and hydrating the follicles, has an exceptionally high fatty acid and Vitamin E content, and has proven anti-aging properties for the skin. 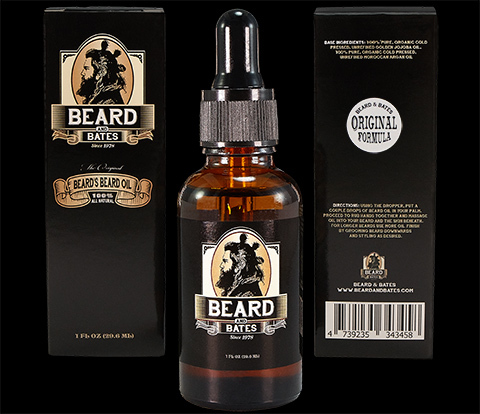 The refined, subtle, sweet and citrusy scent is reminiscent of old-fashioned cola and has a smooth woodsy, warm spice finish. 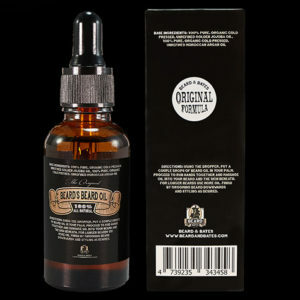 Grapeseed Oil: this anti-oxidant and linoleic acid rich oil fights acne and blemishes, tightens the skin, accelerates hair growth, and imparts a natural shine as it conditions hair. Mango Butter: nourishing plant butter rich in many nutrients and antioxidants; a potent anti-inflamatory, anti-fungal, and anti-bacterial butter will keep skin healthy; restores and maintains moisture and promotes cell regeneration in hair and skin; contributes to healthy hair growth; locks in moisture. Beeswax: nourishes and locks in moisture in hair; is a potent anti-inflammatory, anti-fungal and anti-bacterial; clears acne, eczema and psoriasis; natural styling agent. 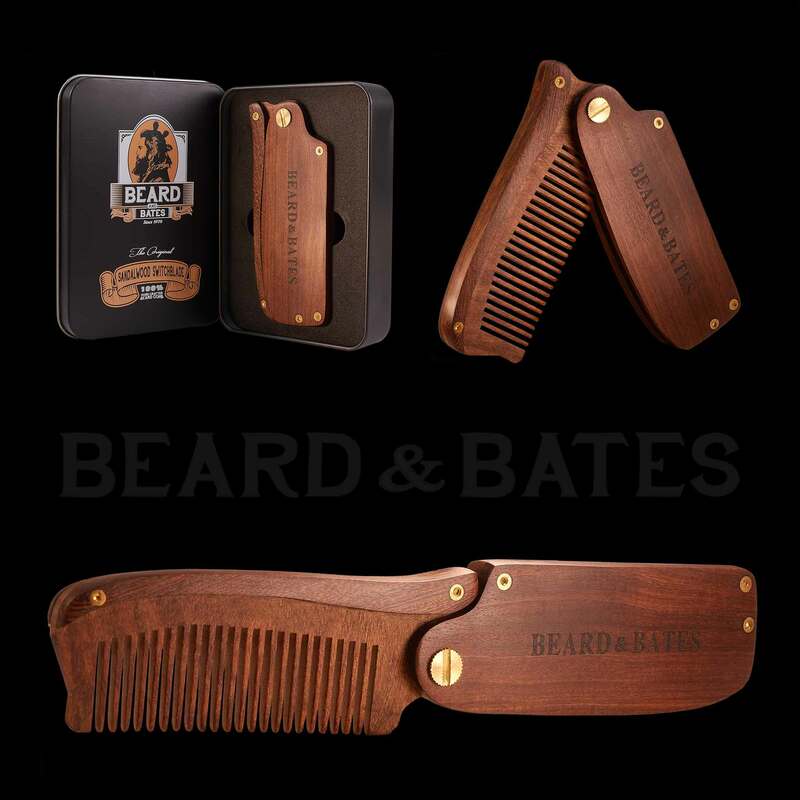 The new and updated Sandalwood Switchblade is our take on a classic 19th century foldable beard comb. 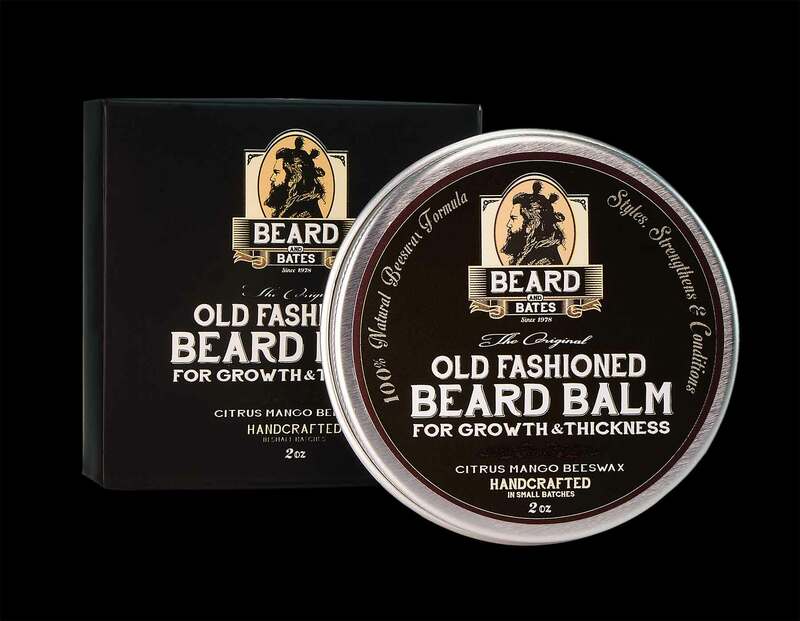 This handcrafted artisan comb is perfect accompaniment for beards, mustaches and hair. Each beard comb is a unique work of art. From a unique piece of fragrant sandalwood each comb is carefully cut, sand, fitted, resanded, polished, and laser-etched. 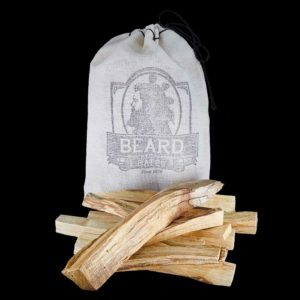 Our skilled craftsmen assemble three individual pieces of fragrant sandalwood to make each beard comb, and it is a painstaking process. Sandalwood is the 2nd most expensive wood in the world, due to its permanent fragrant nature, strength and aesthetic appeal, all of which has been valued since ancient times. Our combs are extremely smooth, pleasing to the touch, and are a testament to beautiful wood. The foldable design of our beard comb provides an ergonomic yet aggressive and masculine design element. We also offer a genuine leather engraved pouch that is as attractive as it is protective; it is a smart accessory to buy in order to protect you comb. This foldable wooden switchblade comb can be stored easily in the pocket of one’s jeans or coat, and makes the perfect companion for our Beard’s Beard Oil or Old-Fashioned Beard Balm. In contrast to a plastic, bone or metal comb, a sandalwood comb lightly absorbs some of the surface oil and thus has better traction and hold when combing well groomed and oiled beard hair. Plus, the sandalwood comb just smells great and leaves a little bit of that fragrance behind. Note: Please store this comb in a cool, safe place and do not expose it to high heat (as inside a very hot car) as the wood can warp. This is the Beard And Bates Genuine Leather Pouch, which is an accessory for Beard & Bates’ “The Sandalwood Switchblade,” our take on a classic 19th century foldable comb. 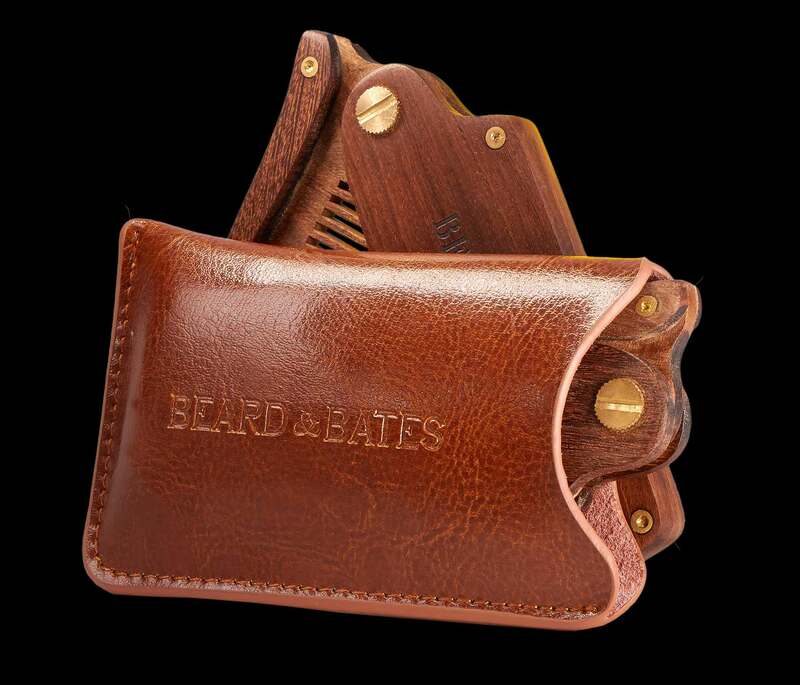 This handcrafted artisan leather pouch is perfect accompaniment for The Sandalwood Switchblade, as these pouches are expertly crafted, smell of rich leather, are embossed with the Beard And Bates logo, and enable one to protect his comb while making a handsome accessorized statement. 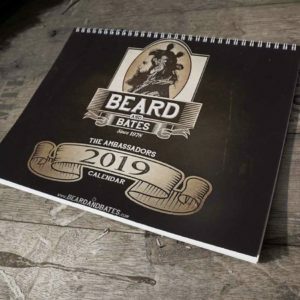 Tag your photos with #BEARDANDBATES on Instagram.